The Year-End Best-Of list has become as much a tradition as turkey dinners and fighting with your family around the table. David Gutowski has, at the time of this writing, more than a thousand such lists aggregated over at Largehearted Boy (and yes, I’m spending altogether too much time there). But the lists, at least in their more formal iterations, are also a recurring cause of frustration. Open a newspaper, flip through a magazine, click a link, and what do you find? Writers talking about the best books of the year. Reviewers boiling a year’s work down to a handful of favourites. Media figures weighing in with their choices. It’s as if, in the wake of the major prizes, everybody gets to contribute their voices. Who don’t you find, as a rule? Sure, there’s the occasional broad-based piece: Quill & Quire usually consults with a few booksellers for an article, and Publisher’s Weekly did a great job with a survey of American booksellers last week. But those pieces stand out because they are, generally, the exception to the rule. It’s a strange omission. It’s like not asking the person beyond the counter at the fish shop what’s fresh. It’s like ignoring a bookie’s opinion on horses. It’s a sizable gap, and one which I’ve never been able to understand. Here at Shelf Talkers, we operate with a single guiding principle: booksellers KNOW. They have to—booksellers largely depend on their reading for their living. And month in and month out, we turn to booksellers across the country for their recommendations. Now, as 2015 wanes, we’ve gone big: a supersized collection of recommendations, all based around a simple question: what was your favourite book of 2015? Cookbooks, kids books, fiction and non-fiction, short stories and novels... booksellers KNOW. So raise a glass to the weary booksellers, those who were gracious enough to offer their recommendations here, and those who have served through 2015. They’ll be back in the new year, with new books and new loves, but right now, these are their favourites of the year. 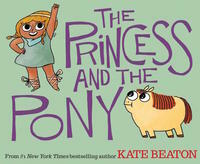 Kaleidoscope Kids’ Books’ favourite Canadian book of 2015 is The Princess and the Pony by Kate Beaton. You really can’t go wrong with any book by Kate Beaton, especially one about a warrior princess and an adorable pony that farts. Fifteen Dogs is outstanding and devastating. It will affect you to the depths of your soul. When the gods Hermes and Apollo make a wager to see whether animals would be more or less happy if they had human intelligence, they change the lives of fifteen dogs and many humans. Reconciling their nature and instincts with their newfound consciousness and language is a challenge that not all the dogs survive. This book made me cry more than any other book ever has and I absolutely loved it. 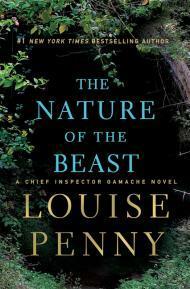 Hmmm my favourite Canadian book for 2015 ... Well, I really enjoy reading Louise Penny, so any new book from her is at the top of my list. Her writing is so descriptive; in A Beautiful Mystery, I could see the monastery and hear the monks chanting. 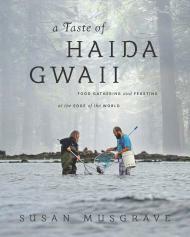 My other new favourite is A Taste of Haida Gwaii, by Susan Musgrave. We recently had an event with Susan and she was delightful, funny, and entertaining. I know it’s a local book, but the reasons she wrote it and the foods are fantastic. 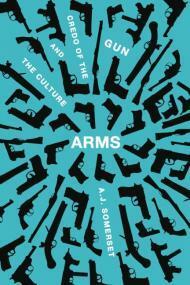 I've been turning over A.J Somerset's Arms: The Culture and Credo of the Gun. It's timely, impeccably researched, and a rare voice of moderation in a very shrill and obstinate debate. Biblioasis just seems to have its hand in everything good this year. 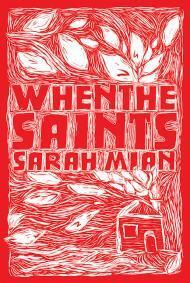 I think my favourite Canadian book of 2015 is When the Saints, the debut novel by Sarah Mian. Tabby Saint has returned to her roots in rural Nova Scotia. The Saints are a bunch of dysfunctional ne'er do wells who come from the wrong side of the tracks. Tabby is trying to determine if she should stay and help with the redemption of her lost-long relatives, or just leave, and pretend she had never come. Janis, her five-year-old niece, is the person who tips the balance. This book is dark, and funny, and above all, deeply resonant. I have been recommending this book to everyone since I read it. The writing is excellent. My favourite Canadian book of the year was my favourite book of the year, period. I read Silvia Moreno-Garcia's debut novel, Signal to Noise, early in 2015 and it became my yardstick for every read after. I love music, even if I can't play an instrument or sing to save my life, and so reading a coming-of-age story where magic lurks in old records really spoke to me. 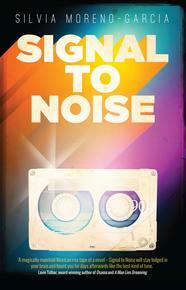 Set in Mexico City and told in two times, 1988 and 2009, Signal to Noise is a delight from start to finish. Awkward teenage Meche and her unhip friends discovering how to cast spells using music in 1988 is interwoven with 2009 Meche returning to the home, family, and friends she'd abandoned for her father's funeral in 2009. Moreno-Garcia deftly answers the questions of those missing years, particularly: is there any magic left? There is, and Silvia Moreno-Garcia's got it. 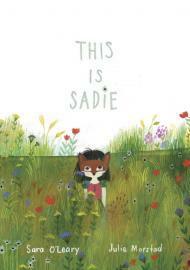 Sadie is a wildly imaginative young girl who loves to dive into her books and travel around the world. She is perfectly content to create boats out of boxes and to travel the world of her books, diving into the pages of her books and imagining herself with wings. The story brought back memories of the games we used to play when we were younger, about how the best play sometimes only needs a cardboard box, and even reminded us of some of our favourite classic story books. Julie Morstad’s whimsical illustrations—a mix of pencil crayon sketches and watercolours—highlight the dreamy nature of Sadie’s imagination, combining the magical with the practical. Those familiar with her work from her own Julie, Child and other books will recognize her distinctive style, a deceptive simplicity that has layers of detail underneath. There’s many lovely little facets to consider, including a hidden fox doll on most of the pages that adds to the fun. This is Sadie is a new classic, and a must-have for every child's bookshelf. 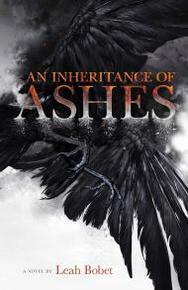 For YA readers, An Inheritance of Ashes, by Leah Bobet, is a beautiful blend of stories woven into one dark tapestry. Hallie Hoffman lives on the family farm with her sister, Marthe. While the terrible war against the Wicked God may be over, Marthe's husband has yet to return and the two young women struggle to keep the farm going. To help with the farm, Hallie takes on a mysterious veteran named Huron, a man full of secrets of his own about the war, but when the spider-bird lands on Hallie's windowsill and almost sets the house alight, the faraway war is suddenly right on their doorstep. Themes of family, self-identity, community and love are intertwined with a haunting fantastical setting create one of my best reads of the year. 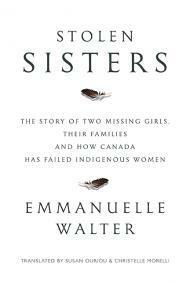 Stolen Sisters wasn’t the easiest book to read, but was definitely my favourite Canadian book of the year. The very personal writing style brings to the forefront all the frustration, anguish and continued hope felt by Canada’s indigenous communities. Emmanuelle Walter uses the case of two young women to illustrate the greater systemic and cultural barriers to a thorough investigation. I would recommend this book to anyone who has an interest in indigenous issues in Canada, with this book being especially topical right now. George Bowering hails from the Okanagan, and for over 60 years has been returning there, in person, and in his writing. 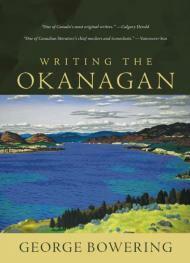 Known for his wide range of writing genres and techniques, this book is a sampler of Bowering's writing on the Okanagan through adult and young adult fiction, memoir, and poetry. George's take on it all, in one volume. This is a rare opportunity to observe the growth of a writer over a lifetime, while at the same time enjoying numerous hidden gems of humour, wisdom, and writing virtuosity. 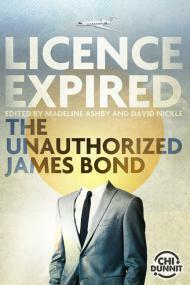 On the top of my list this year is Licence Expired, the new Canadian anthology of James Bond stories, published by Chizine Publications. Full of exciting tales from some of Canada's top writers, it is sure to please any fan of James Bond, or simply fans of great storytelling. 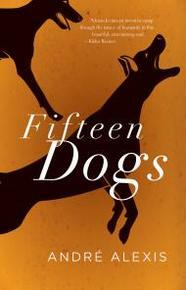 From the first chapter of Fifteen Dogs I knew I was reading a winner. When recommending to customers it is hard to describe without the book sounding funny (Hermes and Apollo in a bar, dogs as people) or tragic (the dogs die), but ... read it you must, as this is a viewpoint-altering book. My top pick of 2015.